It's such an exciting time to be a part of Head-Royce School. 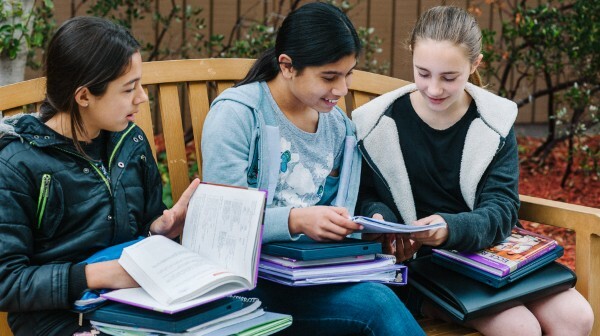 Since our early beginnings 130 years ago, Head-Royce has been providing a comprehensive, student-centered program anchored by a whole-child philosophy—And we are stronger than ever. With the purchase of eight acres of adjacent land across Lincoln Avenue, we now have an unparalleled opportunity to make sure our physical spaces can keep pace with the caliber of our academic offerings. 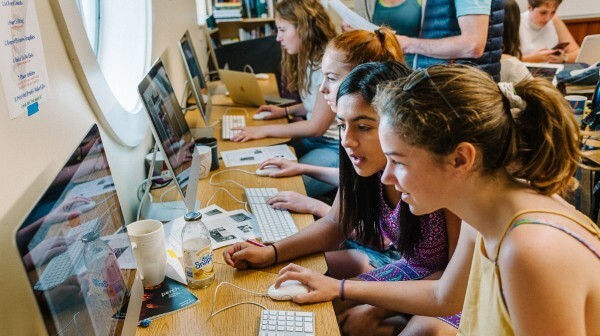 We now find ourselves in the unique position to create a cutting-edge K-12 environment . . . Read more. The Master Plan: What is it? 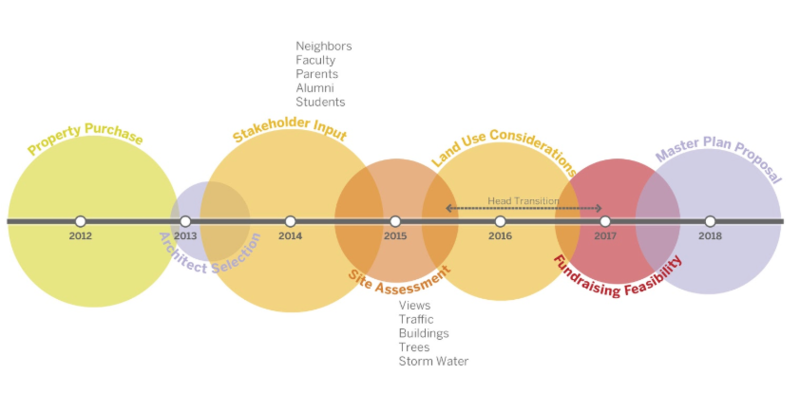 The Master Plan guides campus changes over the long term and gives physical form to Head-Royce's strategic vision and values. Learn more. A team of experts, including civil engineers, traffic specialists, arborists, and architects have been studying our future South Campus in-depth to guide all decision-making. 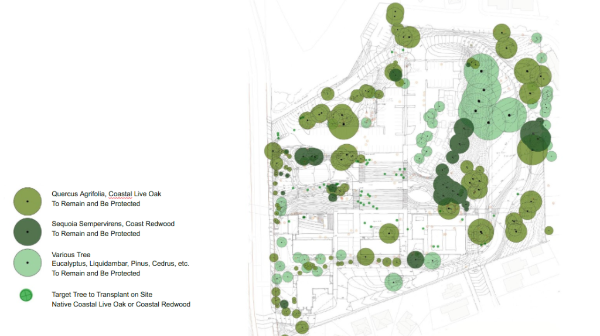 The former Lincoln Child Center property is a 8-acre wooded parcel acquired in 2013. See our vision to bring this property back to life to enhance the student experience. Head-Royce is partnering with Skidmore, Owings, and Merrill, a multinational architectural firm that has provided design and planning solutions for educational institutions around the world. The South Campus will be profoundly transformational, featuring state-of-the-art labs for STEM (Science, Technology, Engineering, Mathematics), hands-on learning and multidisciplinary exploration, and utilizing cutting-edge teaching equipment, technology and flexible design. Learn about this unparalleled opportunity to open nature’s doors to the Head-Royce community on a daily basis with gathering spaces for functional outdoor classrooms, small group work, and collaborative learning. 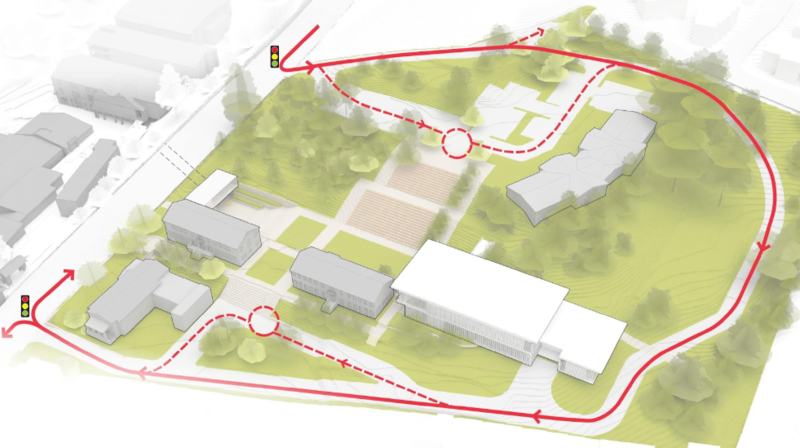 A proposed new loop road will move student drop-off and pickup-up off of Lincoln Avenue and a pedestrian link below Lincoln Avenue will allow students to safely travel back and forth between the North and South campuses. Learn more about how we will be improving our neighborhood presence. We are fortunate to attract highly-qualified, mission-aligned students and have historically grown enrollment by an average of 1% per year. We expect to continue this slow and measured enrollment growth, without compromising class size and individualized student attention. Imagine this... Just over 10 years ago, we didn’t have the Gatehouse, the main stairs, the World Languages building, Read Library or the Upper School cafe/classroom building. The Middle and Upper Schools were in reverse locations. A road ran through the upper gate, down the steep hill and out the back gate of campus--there was no upper school patio as we know it today. A generation of families came together to transform the campus into the one we enjoy today. It’s now our turn to pay it forward for the next generation. 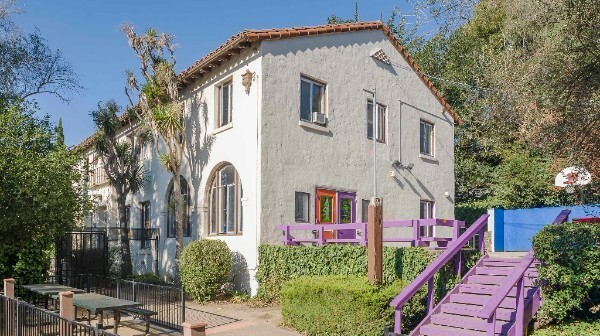 Five years after the purchase of the former Lincoln Child Center, we're thrilled to be able to share our vision for the future of Head-Royce School. Since the purchase of the property, we've been laying the groundwork for reimagining our learning spaces, drawing upon the wide range of expertise among our Board of Trustees--from real estate, finance, law, land-use, city planning, and, of course, education. We are confident that this project will be a transformational moment in the life of Head-Royce School! > Why is the Master Plan important? 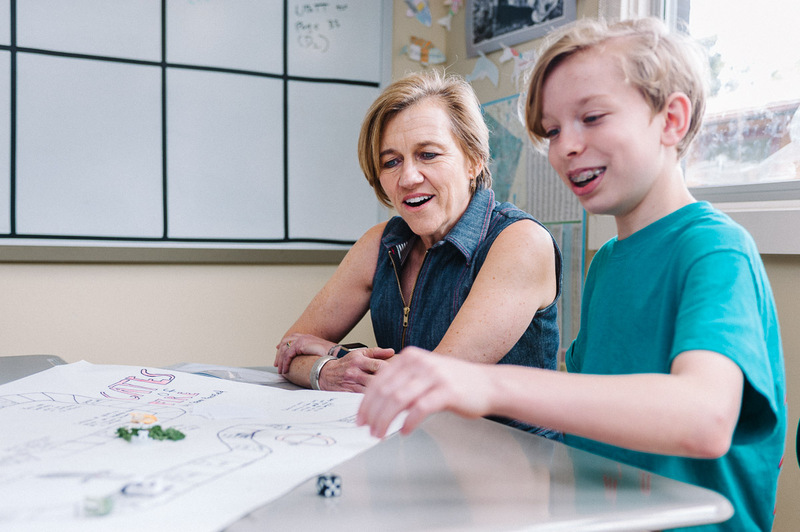 Building on our tradition of academic excellence that has been established over the School’s 130-year history, this plan will give our students and teachers new innovative, multidisciplinary, K-12 classroom space designed for STEM and hands-on experiential learning. 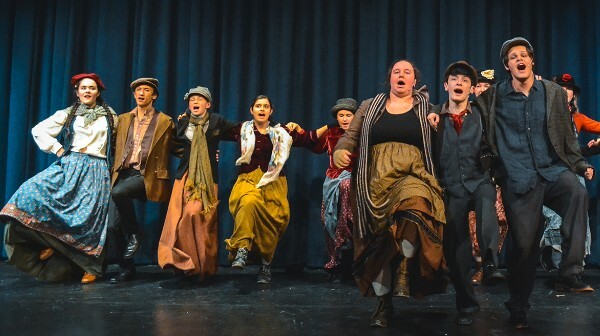 A new Performing Arts and Community Center will serve as an artistic hub for whole-child education and a space for community gatherings. We will address traffic and safety concerns by taking drop-off/pick-up off Lincoln Avenue and onto a new loop road encircling the new property. 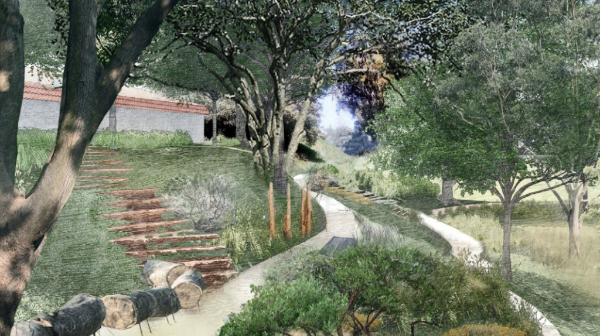 We will enhance the quality of student life by providing an eight-acre educational greenbelt for outdoor learning and opportunities for pause and reflection. We will also address the strong demand for admissions by allowing for slow, measured growth. > What is the timeline for the project? Once the Master Plan is submitted to the City of Oakland in 2018, we expect an approximate timeline of one to two years for the entitlement process. During this time, we will work with faculty and staff to create a detailed program of the new educational spaces and begin fundraising. We expect construction to take 18 months to two years. > How much will the project cost and will tuition be affected? A. The cost of the project is still to be determined as we fine-tune architectural plans and materials. We will launch a capital campaign to invite our entire community to come together in philanthropic support of this exciting project. The cost will be borne by the capital campaign, with any funding gap to be addressed by construction phasing and/or possible debt financing. > How will construction affect day-to-day classroom life, extra-curricular programs, and the community? A pleasant change from most school construction projects, the majority of construction will occur across the street with minimal disruption to our current operations. The School has had four experiences with major construction on the campus since the 1990s and we’re confident we can maintain a positive school experience even in the midst of a major construction project. Access to and staging for this construction site will be from Lincoln Avenue and should have a far lesser impact on the neighborhood than past projects. > Head-Royce has a big impact in the surrounding neighborhood--How have you considered neighbor feedback in the plans? 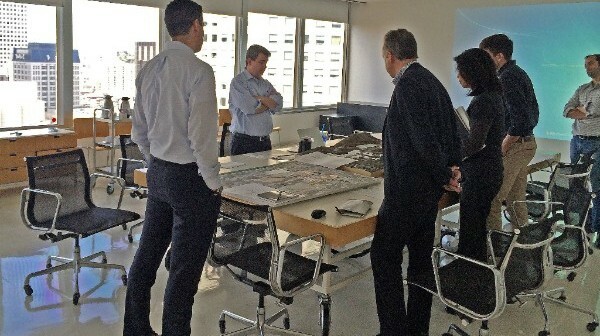 Our plans have been informed by neighbor feedback from the very early stages, starting in 2014. Early neighbor feedback identified five areas of concern: process/transparency, enrollment size, traffic/parking, noise and neighborhood character. We believe that our Master Plan makes a big impact on the student experience at Head-Royce yet exercises a fairly light touch from a construction and use standpoint. We are reviewing the plans with neighbors and gathering feedback before submission and we are working in earnest to be good neighbors and building goodwill for a smooth, transparent process with neighbors and the city. > What is the difference between the Master Plan and a capital campaign? 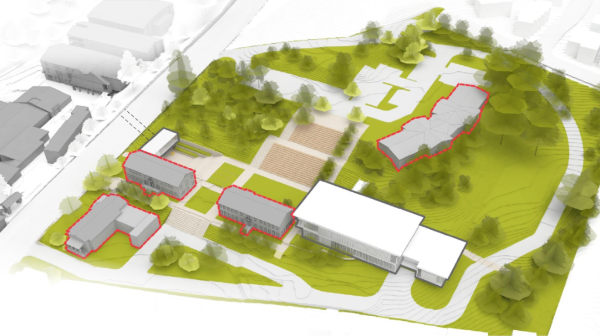 A master plan is a comprehensive development plan showing buildings, roads, pedestrian pathways, open spaces, landscaping, and other physical features of our proposed integrated, 22-acred campus. It reflects a clear strategy to maintain the South Campus as a place with significant natural open space, renovated historic buildings, and joint use facilities for all divisions of the School. A capital campaign is a concentrated fundraising effort which raises philanthropic donations to pay for key school-wide priorities, such as Master Plan or endowment growth. Donors are invited to support capital campaigns with multi-year pledges above and beyond their annual fund contributions. Since its move to Oakland in the 1960s, Head-Royce has had nine successful capital campaigns. The majority of the current North Campus buildings that we enjoy today have been created through the generosity of families and alumni who came before us. > I have questions about the Master Plan that aren't addressed here. Who can I get in touch with? Please send any Master Plan-related questions to communications@headroyce.org and they will be routed appropriately.